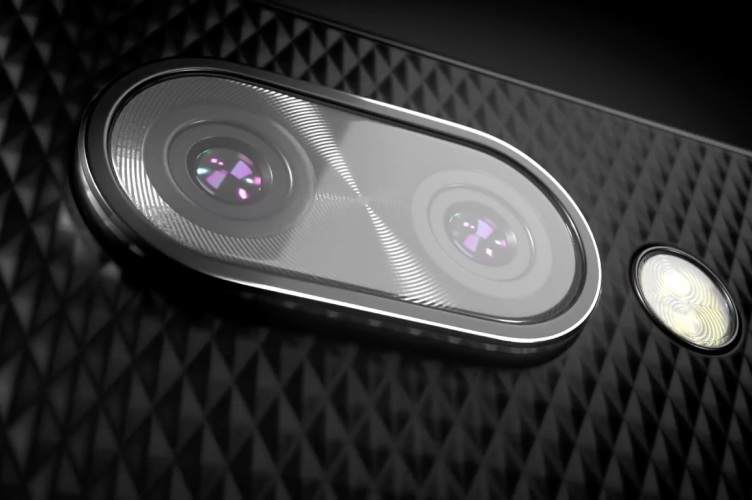 With BlackBerry KEY2’s release just around the corner, the company has released a new teaser video that gives us our first official look at the device. And damn, the KEY2 looks like it’s going to be a stunner. The KEY2 teaser video (attached below) carries the tagline ‘An Icon Reborn’ and has shown off a familiar KEYone-style design, with the physical keyboard below the screen. But it now features a fresh-looking diamond-cut rear panel design, a dual rear-camera setup with LED flash and a new keyboard button, which appears like an app drawer shortcut button. And that’s everything we get to know about the device from this teaser video. We didn’t get any sneak peek at the screen so it’s difficult to judge whether any UI changes have been introduced or not. As for the hardware specs, the KEY2 is expected to feature a 4.5-inch display, 6GB of RAM, 64GB of expandable storage, a 3,360mAh battery, and a fingerprint scanner. TCL, the company which now makes BlackBerry-branded smartphones, is, however, still going to come pre-installed with Blackberry Hub and Privacy Shade. The KEY2 will be a spiritual successor to KEYone, which was a gamble for BlackBerry. We wouldn’t want the more powerful BlackBerry KEY2 to suffer the same fate in the market, so let’s hope it brings some cutting-edge hardware as speculated in rumours. The BlackBerry KEY2 is launching on June 7 at a launch event in New York City. So, are you looking forward to it? Tell us in the comments down below.